We all love travelling! Travelling is a good way for relaxing by putting aside your works. It is also a good way to explore more or even learn more about yourself. 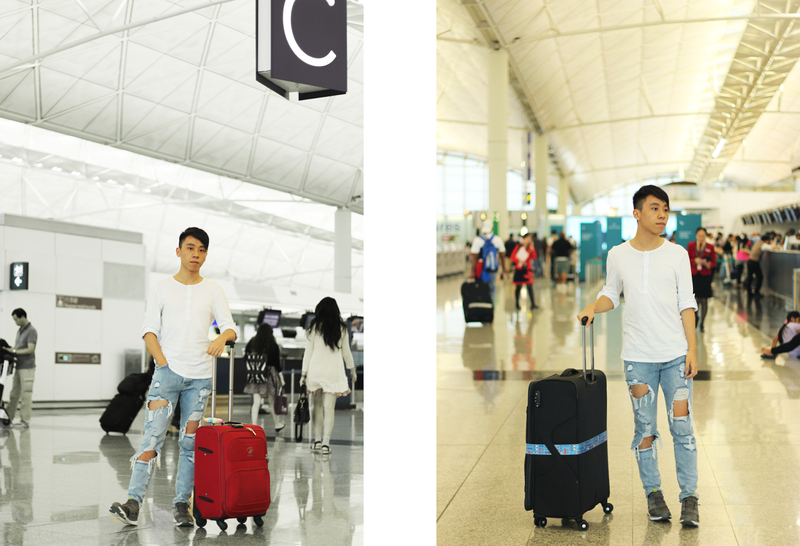 In this post, I'm giving you some simple ideas on what to wear to the airport! - It's better to wear jeans/pants. Since airport is a place that is air-conditioned, try to avoid wearing shorts! Even though your country/ the place that you're going to travel may be hot, but the airport and the airplane are certainly not! You can wear the same jeans/pants for the first day and the last day and thus you're not wasting your jeans. - You can wear t-shirt. But do remember to bring a jacket! The same reason applied. If your flight is during the midnight, you're probably going to sleep on the airplane. It's going to be freezing cold! Although they do provide a blanket for you, but you will still feel cold! Jacket can definitely help you survive. - Just wear any shoes you want! Sneakers, boots, sandals are totally acceptable! Since you're going to seat all day, the types of shoes not really matter. You can choose any shoes that can rock your outfits! Good points! Also, for shoes, I tend to go with ones without laces or just easy to put on. At times, security would tell me to take off my shoes. It's a real pain and I hate holding up the line. Wonderful post and really helpful tips! always love ur style daniel ! i completely agree with your points on travelling and the outfit. i like wearing jeans when I travel too! Cool, chic and effortless! The denim is amazing! Great airport look! Amazing jeans! Love the casual but still stylish outfit! Perfect airport fashion! 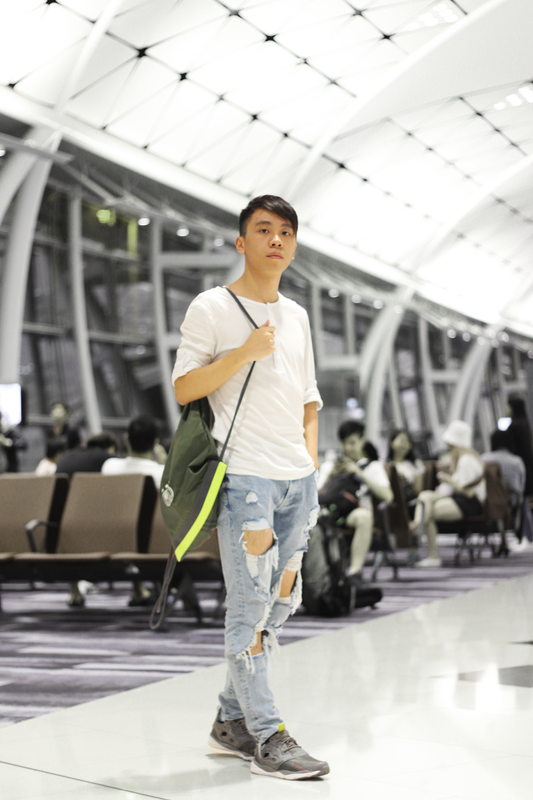 Yes to ripped and comfortable denim for a flight! If it's a long one I prefer something knit, like leggings or joggers so I can snuggle in my seat haha. Love this look! Such a great airport ensemble! I especially love the ripped denim! Basically the perfect airport look, you covered everything in this post! Those denims look the best. Perfect travel style! Comfort meets street style. Great post, loving your airport look. Great casual look, comfort is always key and you can't go wrong with a white tshirt! You look so stunning with that ripped jeans. That outfit is comfortable to used I think. Nice post! Great look for the airport! I always wear something comfortable when flying! Love your styling, thanks for the tips! lovely outfit ! you look great ! Great look for the airport! Awesome tips, thanks for sharing! Honestly I wish I was one of those people who look super stylish at the airport but whenever I'm travelling it's usually on long haul flights so I'm all about the comfort! I think bringing a jacket, coat or some kind of a hoodie is so important as well, I find it gets so freezing on airplanes. Comfortable and stylish is always the way to go when traveling! Ot looks comfy and chic!